Brian Seek was born in 1947 in Los Angeles, California, and grew up in Encino, California. He was commissioned a 2nd Lt through the Air Force ROTC program at Arizona State University on February 12, 1970, and went on active duty beginning March 3, 1970. Lt Seek completed Undergraduate Navigator Training at Mather AFB, California, in January 1971, and F-4E Phantom II Combat Crew Training at George AFB, California, in August 1971. His first assignment was as an F-4E Weapon Systems Officer with the 469th Tactical Fighter Squadron at Korat Royal Thai AFB, Thailand, from October 1971 until he was forced to eject over North Vietnam and was taken as a Prisoner of War while flying his 170th combat mission on July 5, 1972. After spending 268 days in captivity, Lt Seek was released during Operation Homecoming on March 29, 1973. He was briefly hospitalized to recover from his injuries at March AFB, California, and then received an Air Force Institute of Technology assignment to complete the Pre-Dental Program at Arizona State University from August 1973 to August 1974, and then the Dental Program at the University of Alabama from September 1974 until he received his Doctor of Dental Medicine (DMD) degree in June 1978. 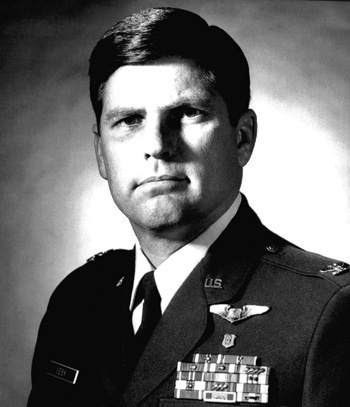 Capt Seek went through General Practice Dental Residency at Davis Monthan AFB, Arizona, from June 1978 to July 1979, and then served as a Dental Officer, Chief of the REstorative Dentistry Section, and later as Officer in Charge of a Dental Clinic at Mather AFB, California, from July 1979 to June 1982. His next assignment was as Base Dental Surgeon at Laughlin AFB, Texas, from June 1982 to June 1985, followed by service as Assistant Base Dental Surgeon at Bitburg AB, West Germany, from July 1985 to July 1988. Col Seek next served as Base Dental Surgeon at England AFB, Louisiana, from August 1988 to April 1992, and then at Luke AFB, Arizona, from July 1992 until his retirement from the Air Force on February 1, 1995. After his retirement from the Air Force, Brian worked for the State of Arizona from 1995 to 2005, with his final duty being as the Dental Program manager for the Department of Juvenile Corrections. Brian and Gail were married in April 1970 and have four children together-Stephanie, Daniel, Renee, and Alison. First Lieutenant Brian J. Seek distinguished himself by extraordinary achievement while participating in aerial flight as an F-4E Weapon Systems Officer over Southeast Asia on 12 May 1972. On that date, Lieutenant Seek was Lead Weapon Systems Officer in a flight of three F-4E fighter-bombers, flying in support of a friendly troop position under attack by hostile forces. Despite intense barrages of opposing ground fire and adverse weather conditions, Lieutenant Seek delivered his ordnance precisely on target, thereby allowing the friendly troops to regain a position of advantage and repel their attackers. 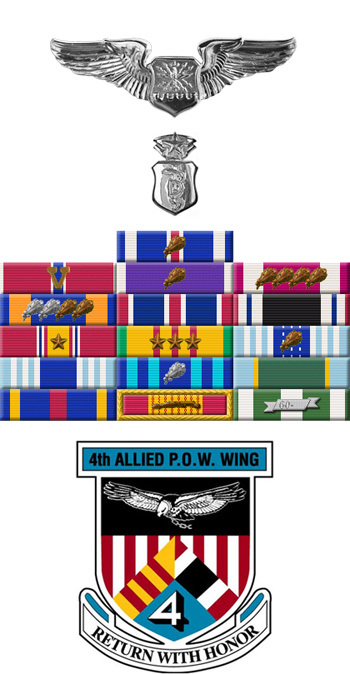 The professional competence, aerial skill, and devotion to duty displayed by Lieutenant Seek reflect great credit upon himself and the United States Air Force.